Justin Timberlake has come a LONG way with me. I never paid any attention to any of those boy bands whether it was Mneudo (yeah, I’m old school) all the way up to this new crew of London cats One Direction. So of course that means I paid absolutely no attention to N’Sync through their glory years. That is til I heard “Gone.” “Gone” was bananas and the blonde kid singing (yeah, I didn’t even know JT’s name back then) was actually “sanging” on some ole blue eye soul ish. Then word got to ear that dude was going solo (like all lead singers do) and Timbo and Pharrell were gonna be producing his album?!?!? So after all of these years, NOW Mr. Timberlake has my attention. I remember when “Justified” dropped I was actually gonna have my wife buy it cause there no way I was walking up in Tower Records on GW’s campus where dudes know me as a die hard hip hop head buying no boy band Justin Timberlake album. Naw I couldn’t be seen like that. But eventually I said screw it and copped it myself and I won’t hold you, dude did the damn thing. Now, “Justified” may have been dope but when “FutureSexLoveSounds” dropped with Timbo behind the boards exclusively that's when I could say I became of fan of the JT & Timbo aka The Dopest Duo. And the reason why I say a fan of both of 'em is cause I’m not sure I can say that I’d be excited to hear JT without Timbo behind the boards. 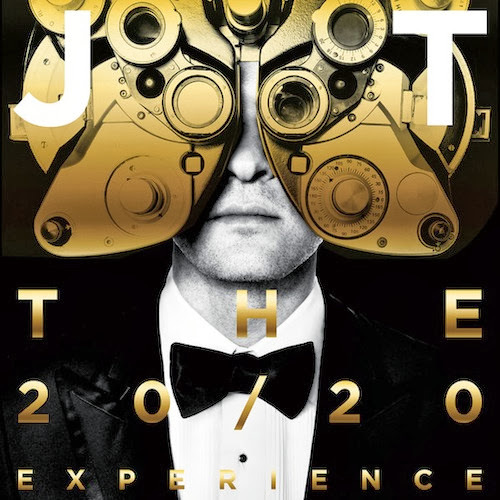 Well, the great thing is with the dopest duo linking back up with JT’s “20/20 Experience” is I’ve got 2 more albums on tap to hold me down while JT’s out in Cali getting his Tom Cruise on. When the first “20/20 Expereince” dropped, I didn’t review it cause I wanted to make sure I was hearing, what I was hearing. And what I mean by that is while I LOVED that album...did I REALLY wanna give it the coveted 5 mics? And since I wasn’t sure, I had to sit with it for a sec. And after letting it marinate for the past 6 months, I should’ve gone with my gut and gave it the 5 mics it deserved cause I STILL bang this jawn faithfully and don’t see it coming out my rotation anytime soon. Which is why my expectations for part 2 were not only through the roof but beyond the freaking atmosphere! So how does part 2 stack up to part 1? Well, I can’t front that on my first listen of “Part 2” I was kinda disappointed. But that's probably because of my expectations. They were so high that there was no way that these two were gonna be able meet them. And it wasn’t just that my expectations were crazy high but the vibe of these new 11 songs are completely different from the vibe of the first 10. Which at first may not be pleasing to the ears but once you chill with the album for a minute, trust me you'll see that this jawn is damn good. So after checking out part 2, there’s a couple of things that come to mind. Number one is that JT may be the only recording artist EVER that has caught the acting bug but still continues to make incredible music. Number 2, that we need to relish in the dope music that these JT/Timbo collabs are giving us since we never seem to get these collabos in hip hop. (anybody actually STILL waiting on that Nas/Primo album or that Ice Cube/Dr. Dre album?) Number 3, JT will never get accused of being one of the illest songwriters of our generation (“I got you screaming Jesus so much/it’s like we’re lying in a manger”…REALLY?!?!?!) Now, I could keep going on and on with this number thing but at the end of the day, even though part 2 isn’t the 5 mic classic that I was expecting, I'm not salty cause as long as JT & Timbo keep making the magic they’ve been making for the past 10+ years…I’m good. Salute.